Experience the very best of high-end South African design in the exclusive Salon Privé at Design Indaba Expo. Suzaan Heyns is a fashion designer. Her work has an architectural sentiment with a feminine twist. DesignSpaceAfrica is a new architecture & design brand by award-winning Cape Town architect Luyanda Mpahlwa. 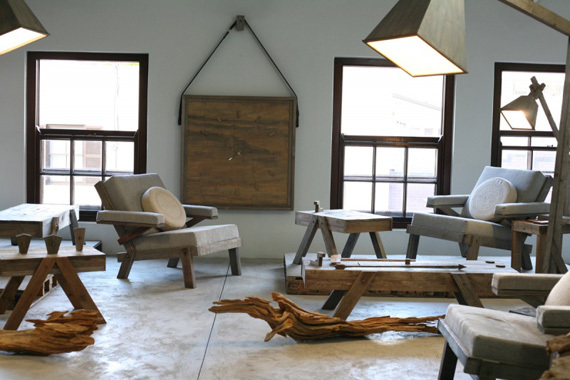 Ronel Jordaan creates handmade high-end soft furniture from ecofriendly felt. Drift™ Furniture is a craft-intensive and green range of designer furniture by architect Anthony Martin launched in 2009. Andrew Dominic specialises in private commissions and custom interiors that combine contemporary design with traditional joinery. 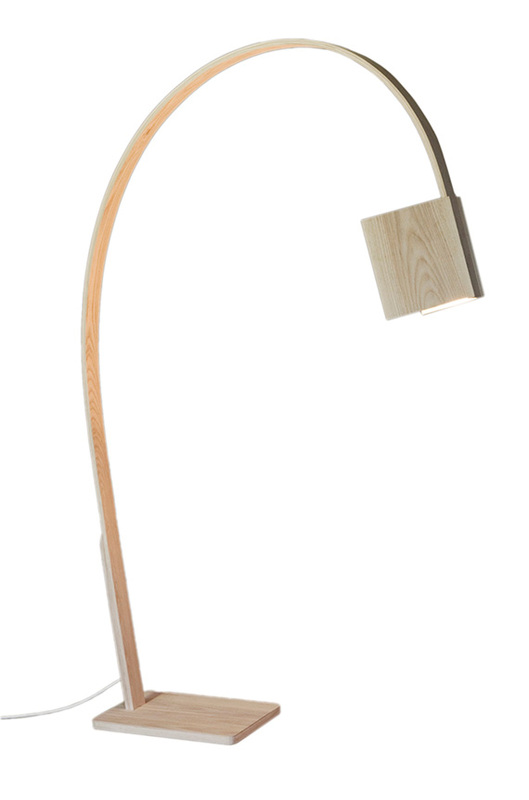 David Krynauw is a young furniture designer whose work focusses on establishing a synergy between client and product. Zenzulu founder and designer Marisa Fick-Jordaan embraces the inventive possibility and the skilful artistry of the human hand to breathe life into ideas. The Carla Antoni Collection draws on Africa's diverse emerging talent as inspiration, offering a rare African sophistication to the discerning collector. For the crème de la crème of South African design, visit Salon Privé at Design Indaba Expo 2012. A showcase of the very best high-end South African design, Salon Privé is independently curated and features the work of icons of the local design industry, representing the country’s design groundswell to the world. Now in its second year, Salon Privé is an exclusive area in the form of a colonnaded gallery situated at the centre of the Expo floor, right near the Grolsch bar. Suzaan Heyns brings a unique and artful vision to South African fashion design. The allure of art is evident in each garment as she captures her fascination with life and transforms it into seasonally inspired collections. Heyns presents her ‘True Colours’ Autmun/Winter 2012 collection at Salon Privé. 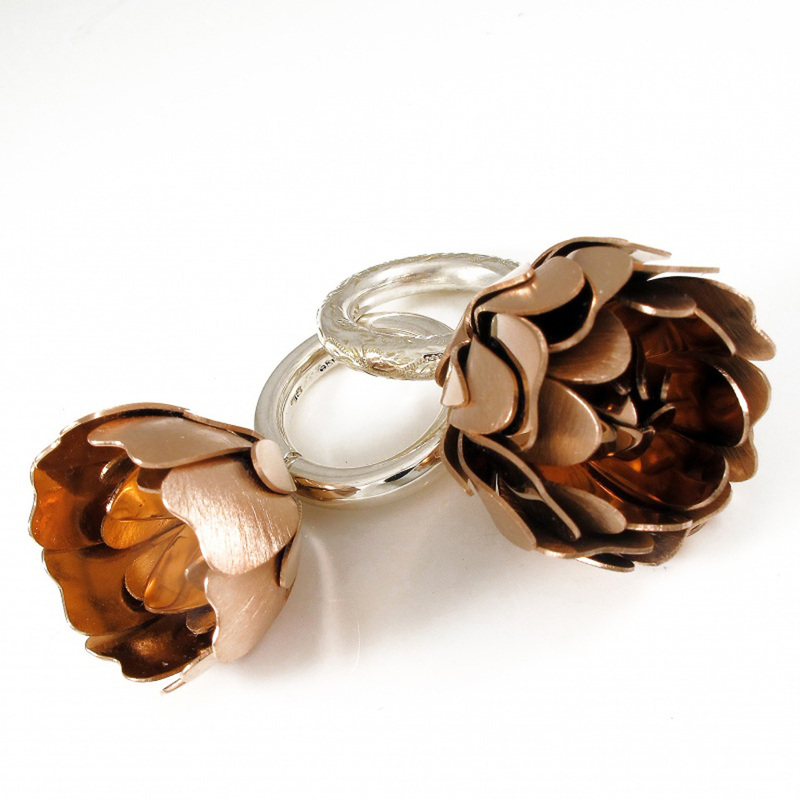 From daring street fashion to dazzling haute couture, Ida Elsje's handcrafted jewellery displays a mastery of craft. While her signature style mixes contemporary with traditional, and vintage with modern, Elsje is a versatile designer who often works in tandem with other creative minds. She brings new lace and floral-inspired gold earrings to Salon Privé, as well as her series of rings and engagement rings. Luyanda Mpahlwa’s DesignSpaceAfrica provides responsive, intelligent and enduring architecture and design solutions for sustainable buildings, creative interiors and transformative urban spaces. The practice strives to translate African culture and traditions into a contemporary architectural aesthetic, beyond limiting stylistic interpretations. 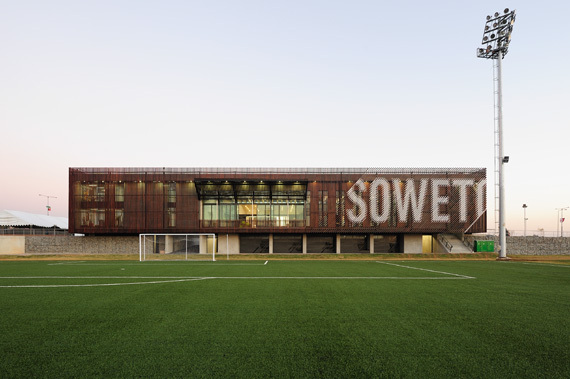 Among the projects that Mpahlwa will be showcasing will be the recent Nike Football Training Centre in Soweto. 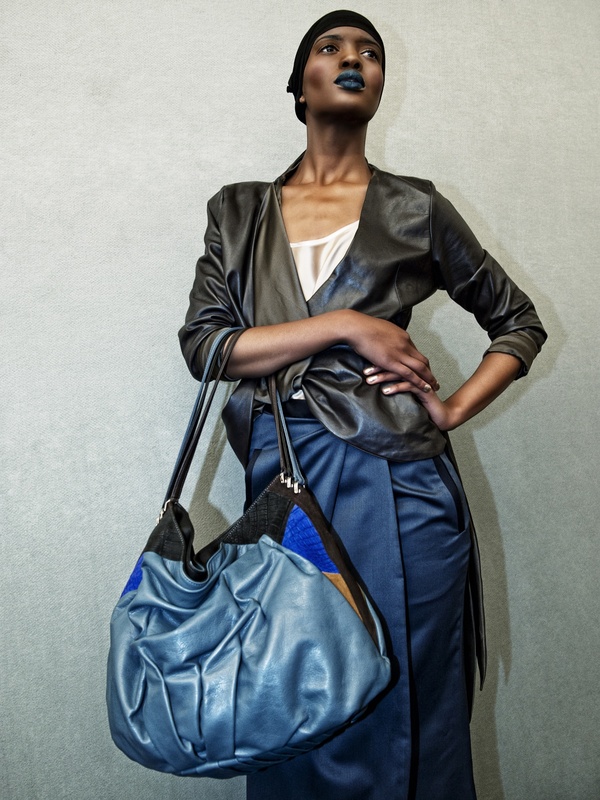 OKHA is a South African luxury lifestyle brand renowned for understated sensual sophistication. Creative director Adam Court’s personal design ethos revolves around a simple belief in reduction and the emphasis of silhouettes and form. 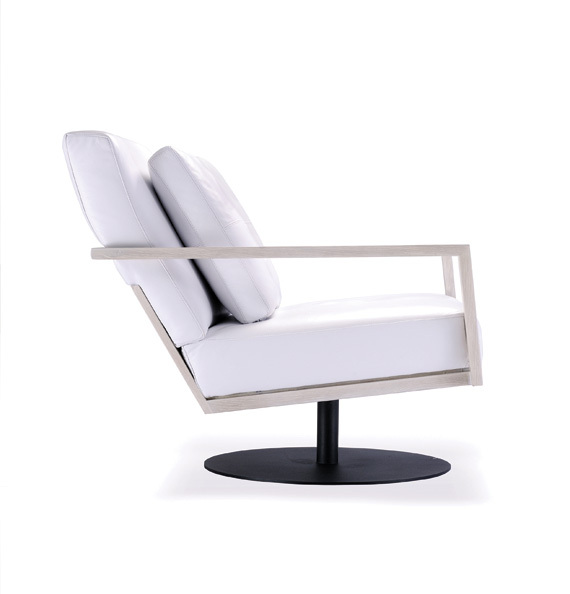 OKHA’s stand features the Rake chair, the STM family of chairs and the Omega server. 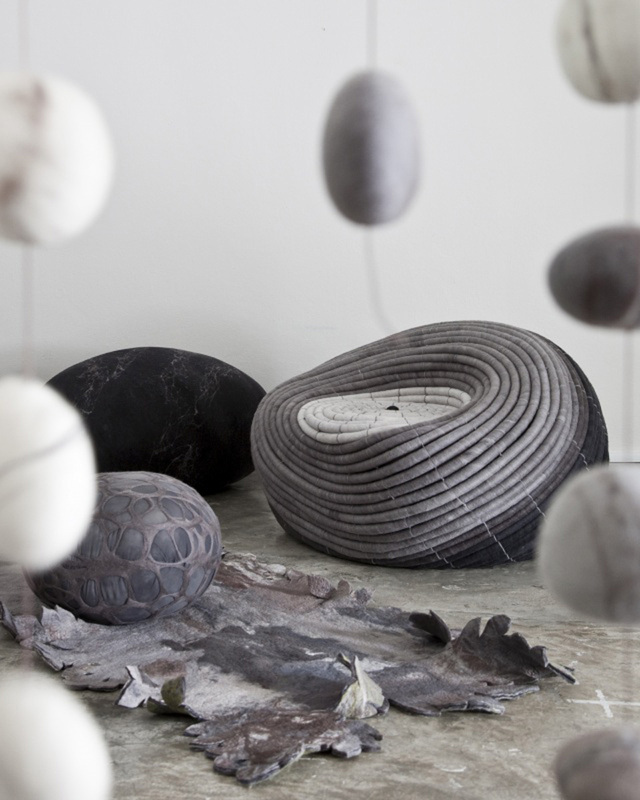 Ronél Jordaan is best known for her large felt rocks and pebble carpets, but she continually explores the felting process to create new textures and shapes. Her pieces at Salon Privé are ambitious and intricate, including the Ndebele chair, made of coiled felt, and a dip-dyed 3D screen. Drift Furniture is a craft-intensive and eco-friendly range of furniture designed by architect Anthony Martin. The brand includes lounge chairs, clocks, lamps and tables with built-in bio-ethanol fire burners, all of which will be on show at Salon Privé. All pieces are made from weathered, reclaimed wood with the emphasis on old-school craftsmanship and quality. Andrew Dominic learned the traditional hand skills of a master craftsman and worked as a furniture designer/maker in his native England. 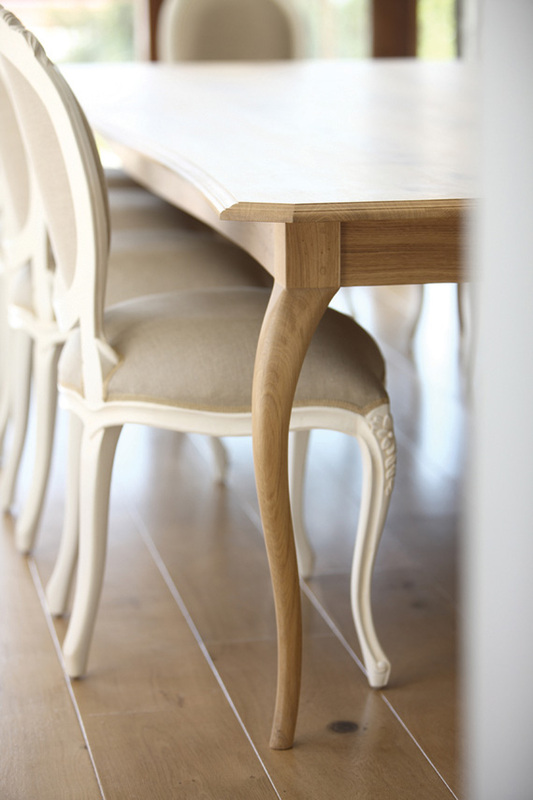 Dominic’s furniture ranges from freestanding to fitted, in sustainably sourced solid wood and veneer where appropriate, using only non‐toxic natural finishes. This year, he showcases his eight-seater walnut Noah table with hand-shaped cabriole-style legs, as well as his handsome Draper kitchen stools. David Krynauw produces contemporary, minimalist furniture out of sustainably sourced wood either from his family farm in Mpumalanga or from the surrounding areas. At Salon Privé, he exhibits a new range of standing lamps for the first time as well as his popular Littleman lamp, now in different colours and materials. 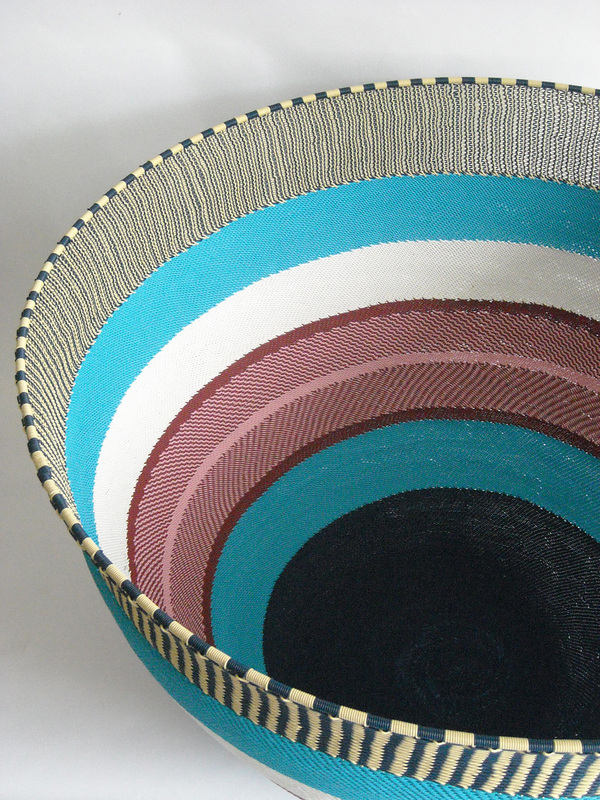 Fusing traditions, techniques and technologies, Zenzulu is a leader in blurring the boundaries of craft and design. Designer Marisa Fick-Jordaan has become renowned for original and contemporary wire design and art pieces, such as the Signature range of vessels, Wired lace platters and Jungle Nature series of sculptural assemblage pieces. She will debut her giant range of vessels. Tonic is a design consultancy whose clean-lined aesthetic and meticulous detailing have been widely acclaimed locally and internationally. Tonic’s interiors are characterised by a bold use of shape and form, and an unusual juxtaposition of elements. 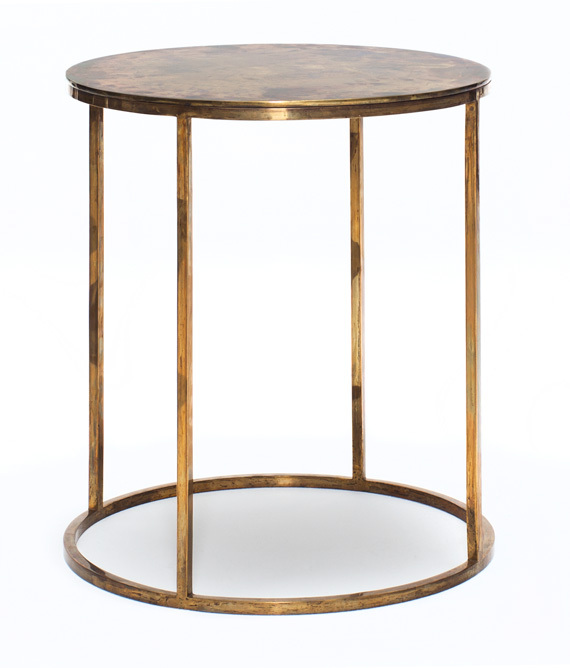 Founders Greg Gamble and Philippe van der Merwe produce a large catalogue of high-end furniture, a cross-section of which is presented at Salon Privé. Drawing from the emerging and diverse talent in Africa as her inspiration, the Carla Antoni Collection offers the discerning collector bespoke souvenirs and gifts that invoke a rare African sophistication. 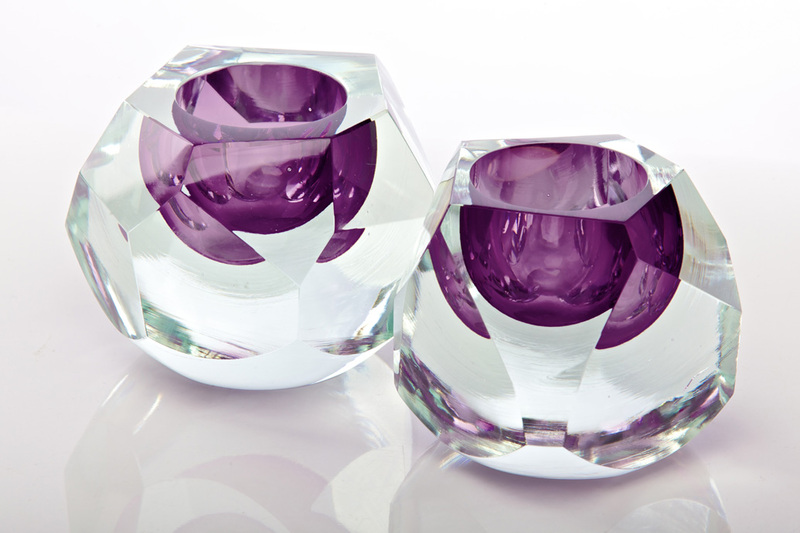 Antoni collaborated with artists and designers to give life to her vision of luxurious, beautifully crafted gifts. The collection features Glacier-cut t-lights by David Reade, a branch-shaped bowl by Bronze Age, a contemporary domino set by artist Paul Du Toit and raw afro-elegant espresso cups by ceramicist Louise Gelderblom. Each piece comes in a custom-made gift box. Salon Privé at Design Indaba Expo 2012 is a separate exhibition area within the main exhibition focusing on the very best of high-end South African design.